The year is 120 GM. Settlers on a distant satellite moon dream of returning back to Earth after the Great Migration. Note: We reached 50MB max apk-size for the first time ever before submission (and did not know how to handle it for half a day) why the Video-trailer had to be forced in the last 5 minutes. In the experience “Looking back to the future”, the player will embark on a journey through time in the Time Museum, with the present date being the future. The player assumes the role of a settler and inhabitant on a manmade satellite moon which was built to sustain the human species after the Great Migration. 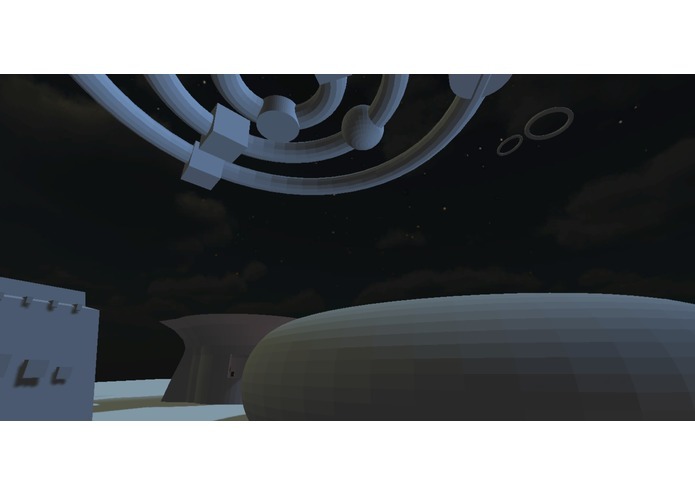 By visiting the Time Museum, a facility and portal commonly built on all satellite moons, the player will begin the exploration of the time exhibit in which the story, the time and the place all differ from each another. 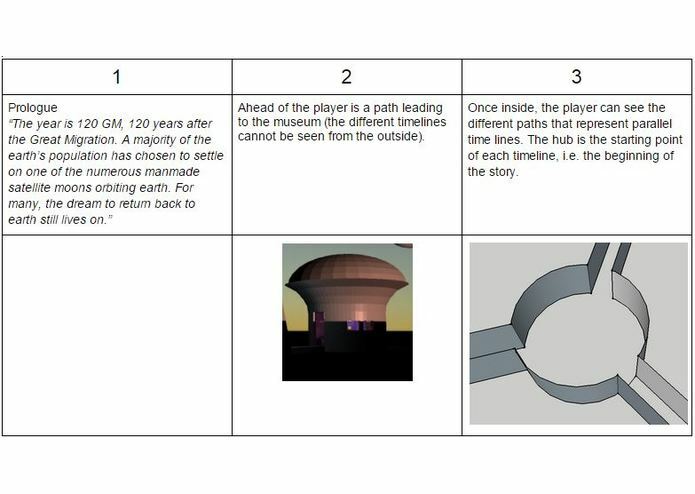 Throughout the visit, the player will be guided by a narrator, who gives hints and clues on how the player needs to choose her path in order to complete the exhibit and return to the present (future). The player is able to enter and exit via a set of portals, e.g. pictures that enable her to pass through to the next level in the exhibit. By only choosing the portals with future themes, she will succeed and be able to return. 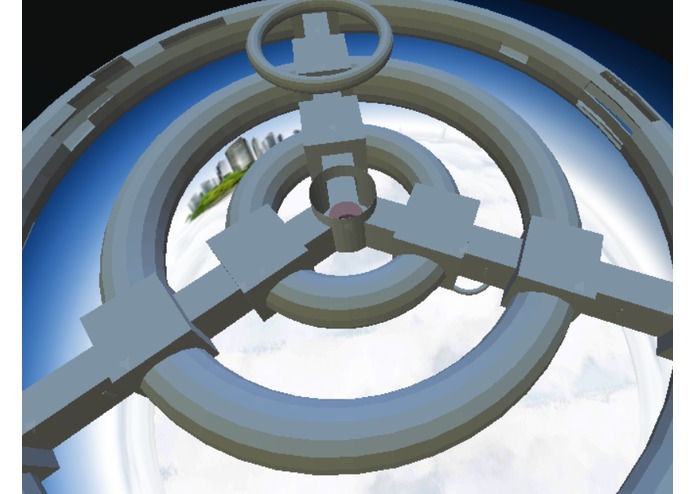 While being lowered into the “unknown”, the player can see a center room and three circles rotating around its hub. 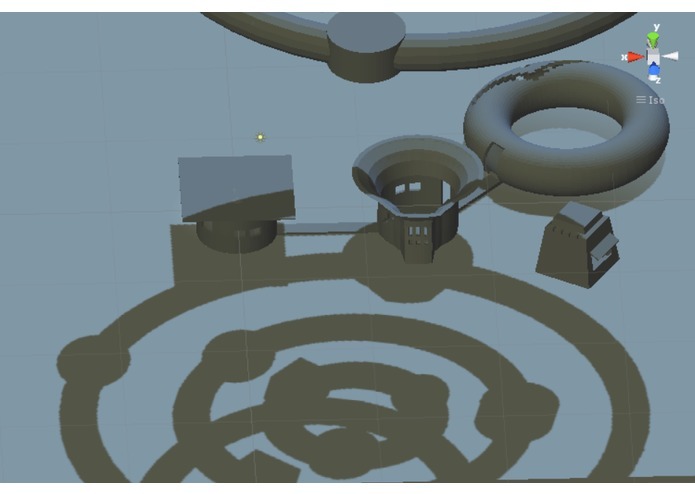 Each circle contains 3 rooms. Unknown to the player, the circles represent 3 choices. The narrator guides the player throughout the experience through descriptions of the pictures. 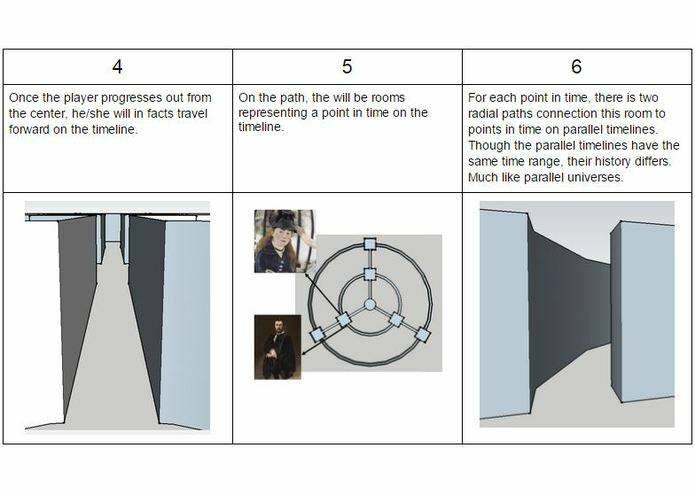 By looking at the picture and listening to the narration, the player can gather information about what period of time the picture represents, and as a result, what choice she will make if she decides to enter. 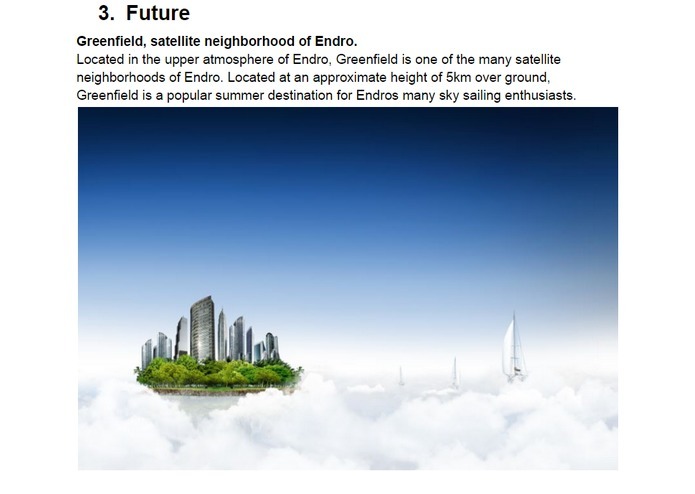 As an example, the narrator might tell the player “..Greenfield is one of the many satellite neighborhoods of Endro…” This would hint the player to assume that this painting is a “future” choice. The game is designed for Gear VR and is meant to be played sitting on a swivel chair. The player will control her movements through the experience by directional head movement and the Samsung Joy Pad. The control pad on the Gear VR has no major use at the moment. The path the player chooses throughout the exhibit will control the outcome. The player will, through sound and sight, be guided through the experience. Inside the exhibit, there will be hidden and subtle hints and clues that will be presented both in the narration and in the visual presentation. By picking up on these hints, the player can piece together what she needs to do. The underlying purpose of the project is to explore the possibilities and capabilities of VR as an interactive education tool, for use in a multi-choice role play setting. 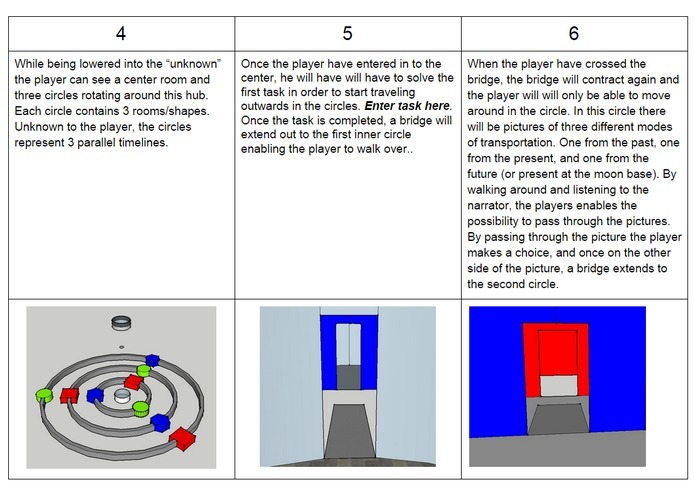 Through the experience, the player will be guided by visual and audio clues in order to piece together the purpose and goal of the experience. The player gets a chance to actively explore the cause and effect of choices she makes, and in the end experience the outcome of these choices. Possible scenarios would be environmental awareness where the player would be made aware of their impact caused by the path that they choose. Another scenario would be how a child's actions and choices impacts its surroundings, a "treat others as you would like to be treated" scenario. 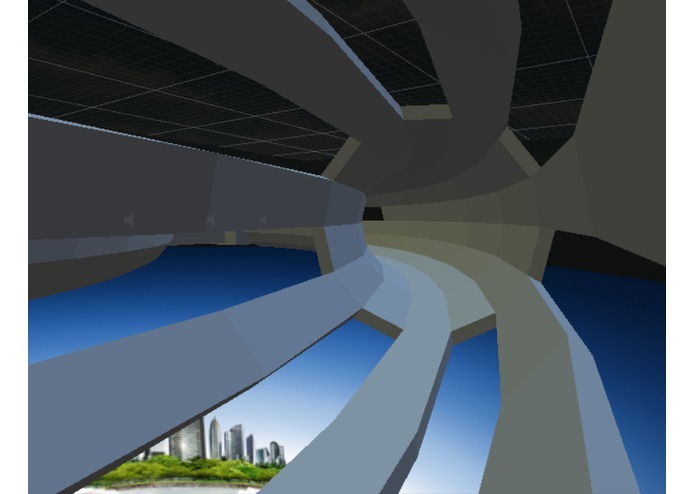 2015-05-11 Release for the Oculus' Mobile VR Jam 2015 Challenge.